Motorola has a huge user base for its Android phones, like the popular Moto X, Moto G and Moto E series. Forgetting screen password is one of the common issues they would come across. This is mostly due to the recent password change and they just forgot to write the code for backup. It will be a huge problem if you can't get access to the phone without the right passcode, PIN or pattern. Gladly, there are some smart programs out there that can help us when it comes to reset the screen password. 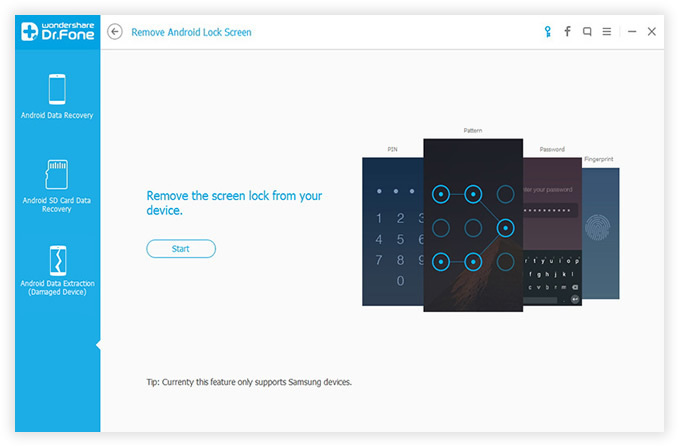 One of the well-known programs for removing screen passcode is called Android Lock Screen Removal. It is the perfect tool to reset screen password without any data loss. This is a big advantage to factory reset, which will permanently wipe all data on the phone. What made the tool extremely powerful is that it's capable of removing all types of passwords. Whether it is a classic password, pattern lock, fingerprint, or even a set of PIN numbers, you will be able to remove it in a short time. Also, the interface is quite user friendly. You can need to click a few buttons to completely remove the password. There is no command prompt or other challenging task involved during the process. It means even you don't know much the computer; you can still complete the task by yourself without any problem. Click above download button to save the file on a computer. Double click it to begin the installation process. This is as simple as normal program install. Make sure open the program when installation is over. Find the password removal function from More Tools -> Android Lock Screen Removal. Use data cable to connect the phone to computer. Then you should find the device recognized by computer in a minute. The device name should be listed in Windows Explorer. If not, then you have to install the latest Motorola USB driver for the phone. Click "Start" button to begin the password removal process. In order to reset the screen password, you need to get the phone into download mode. 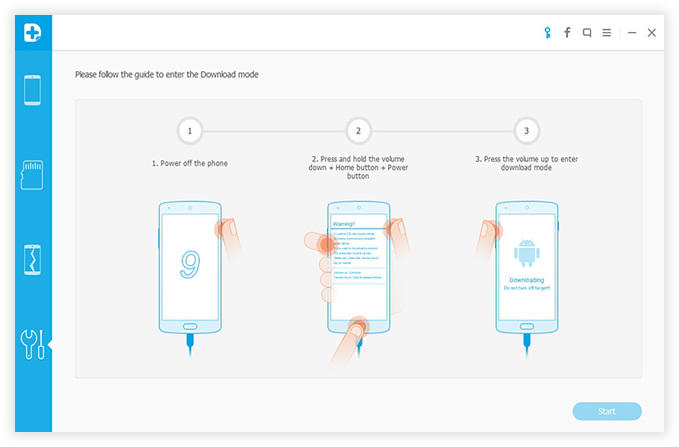 Just follow the instructions displayed on the screen too get the phone into download mode. 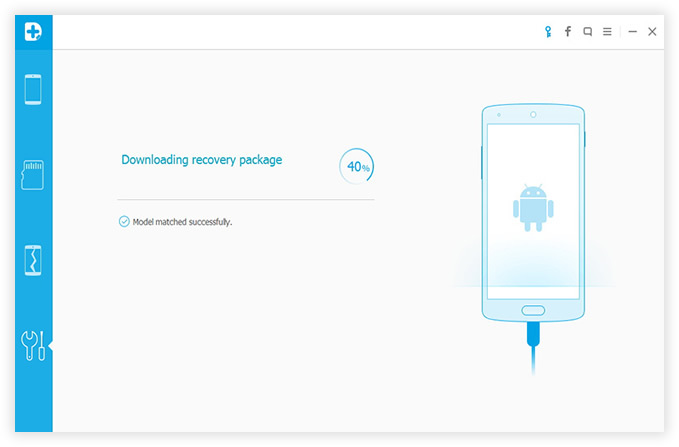 Click "Start" button to let the program download corresponding recovery image for the Moto phone. You can monitor the whole process as there is a progress bar shown on screen. It will take some time to complete the download task, please keep an eye on it. Once the download is finished, the program will start removing the password/ PIN/Pattern automatically. This usually takes only a couple of minutes. If normal, there is a message on the screen indicating the password being removed successfully. 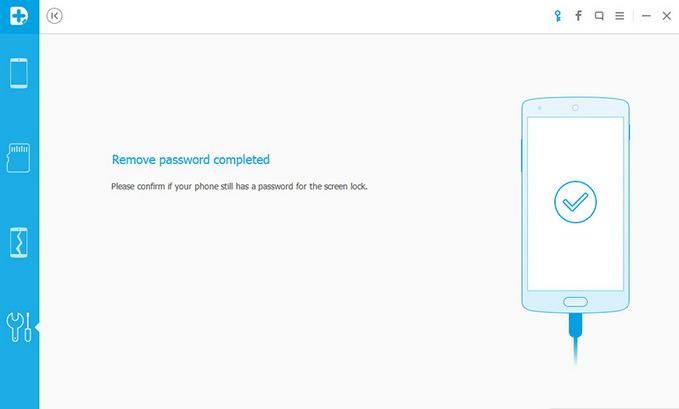 Now you can get into the phone without any password. It's guaranteed to save you a lot of time figuring out what to do on your phone, and at the same time lets you save money since you don't need a technician to get it done. 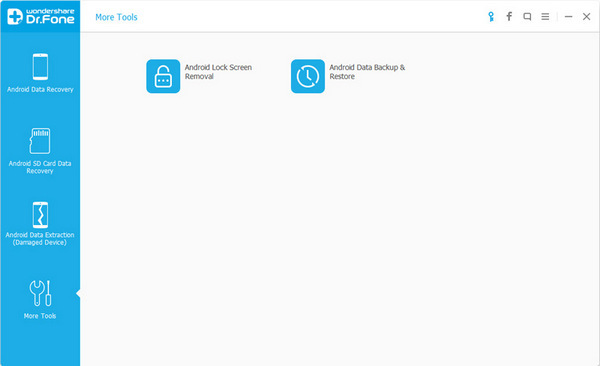 All you have to do is to download the program, follow the steps provided, and you will be able to recover your phone right away. Once done, you can finally set up your own password again. However, be sure to remember it this time in order to avoid wasting time once again.